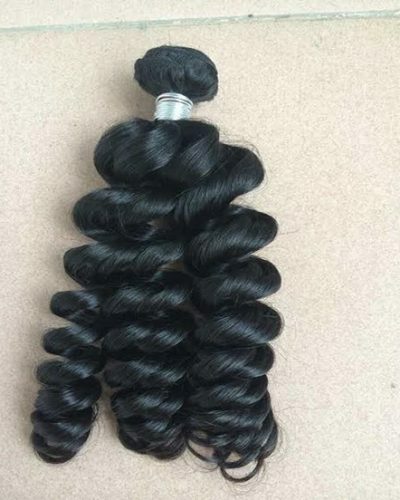 Our Loose Wave Closure come with a free part, so it can be parted where ever you would like it to be parted. 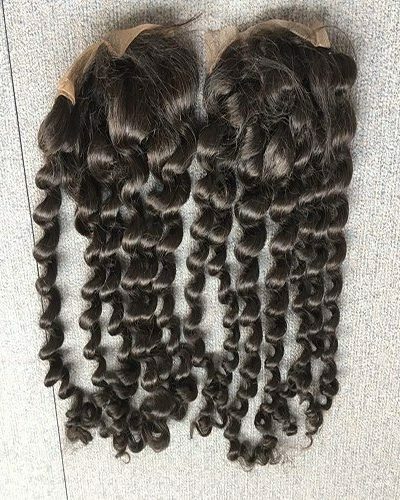 Our superior loose wave closure will blend flawlessly with any body wave texture. This closure will straighten without a problem. Unraveled loose waves will give you a beach wave or loose wand curl pattern. 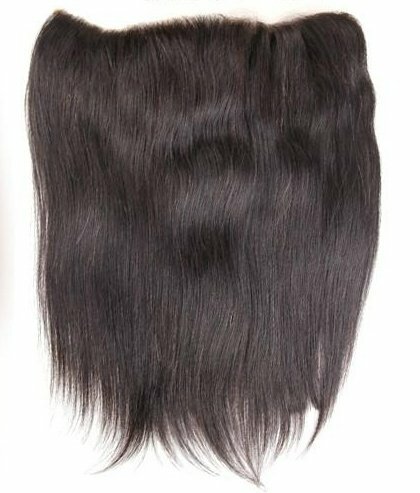 All Supreme Silk closures comes in it’s natural color and can be washed, straightened, and curled. 120% density. The difference between a Swiss Lace and a Silk Base closure is that SILK BASED closures use a silk overlay, hiding the knots. 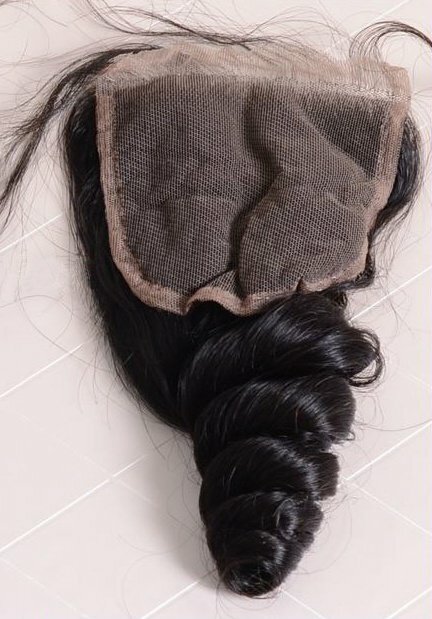 Thus, silk based closures are more natural looking to mimic the human scalp. Swiss Lace closure knots are visible and will show against the scalp unless they are bleached. 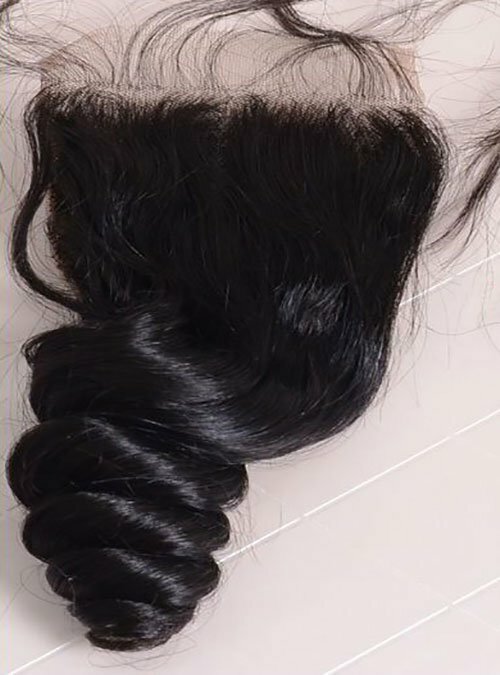 Bleached knots on the loose wave closure make the knots less visible by bleaching them to a flesh toned color.